7. Explore string theory1970s-style macramé pot holders are back in vogue, thanks to the resurgence of potted plants in fashionable homes. 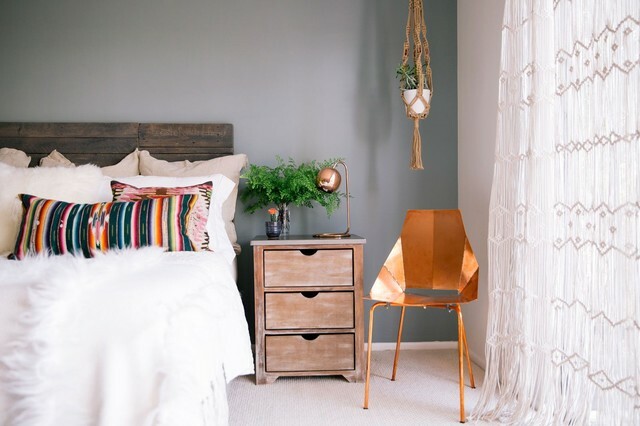 A hand-knotted hanger is an easy way to add a homespun, bohemian feel to a space.There are simple tutorials online if you’d like to have a go at crafting your own – all you need is some strong yarn (in any colour you choose), patience and a suitable plant in need of a home. natural rustic end tables instead of MCM?